One day, a donkey found a lion's skin. He put it on and looked at his reflection in the river." Wow! I look just like a lion! No one can say that it is me, I must take advantage of this" the donkey said to himself. 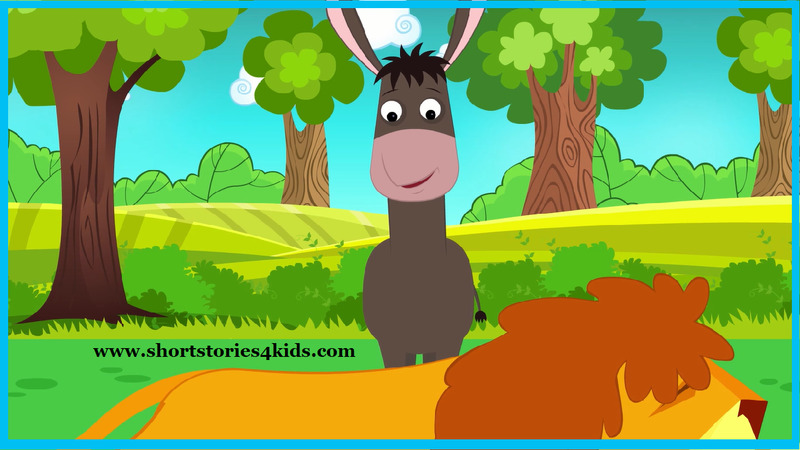 The donkey wore the skin and marched into the village. 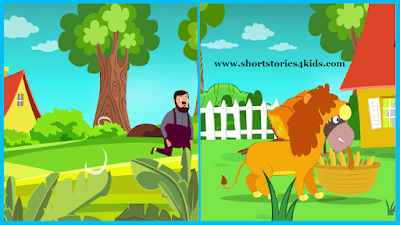 Seeing a lion in the village, the villages got scared and started running. They left their stores and kiosks open. The villagers have left their food and belongings out here in the open. 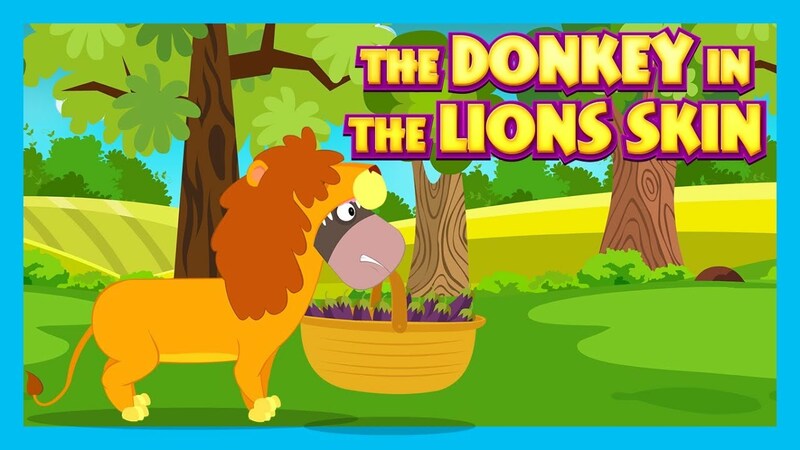 The donkey ate as much as he wanted to grab his loot and went back into the jungle. For the next few days, he relaxed and enjoyed what he had brought from the village. When his supply ran out wearing the lion skin he walked into the village once again. 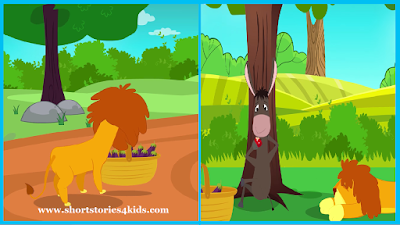 The villagers once again ran at the sight of the lion and donkey gathered his loot. This went on for many days. Every time he was successful, the donkey's confidence grew. 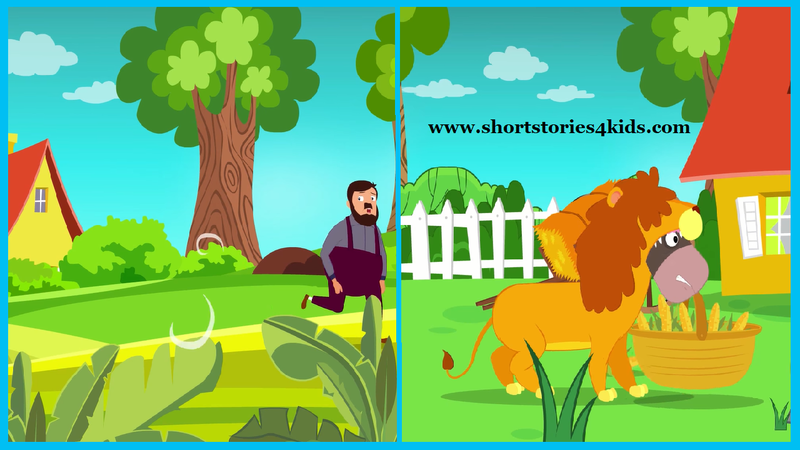 The villagers thought of doing something about the lion. And so, the villagers decided to follow the lion. 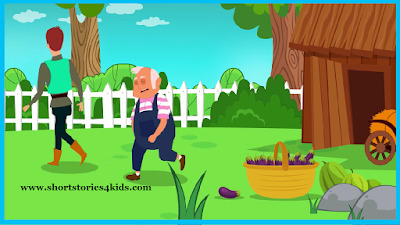 The donkey went straight to the wheat fields talking his loot and started singing loudly. The villagers who were behind him recognized his braying. 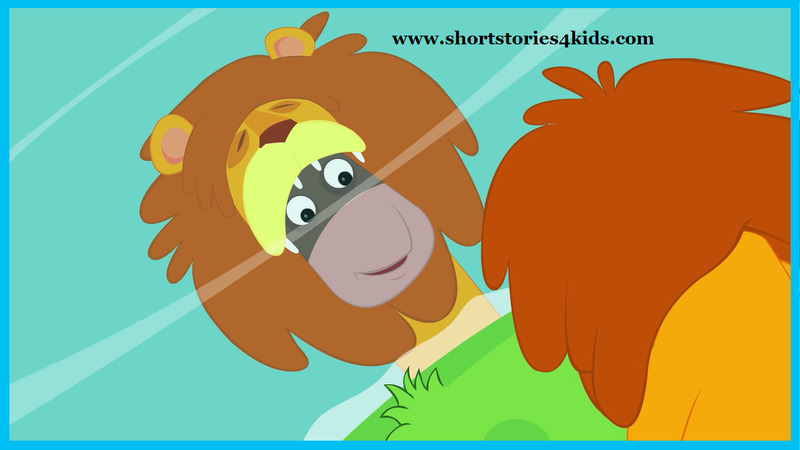 They were shocked to see a lion braying." It was the donkey braying in lion's skin, let's teach him a lesson" they said. 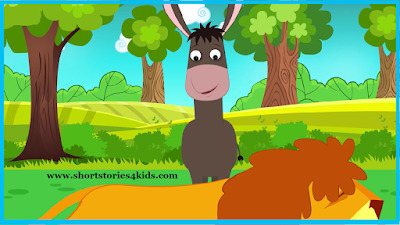 The villagers caught hold of the donkey and beat him mercilessly. Moral Of the Story: Never Masquerade as Someone Else. Fine Clothes May Disguise, But Silly Words will Disclose a Fool. - Aesop. I hope you all enjoyed the moral story The Donkey in The Lion's Skin - Short Stories for Kids. Read More Short Stories for Kids from this website.